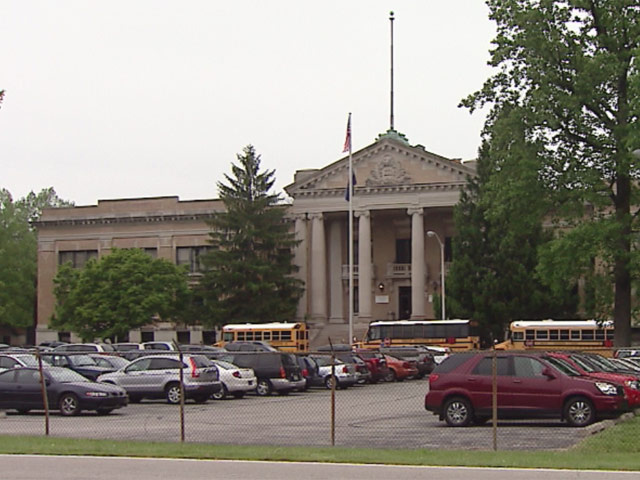 INDIANAPOLIS -- Education reforms pursued by the governor are being met with opposition in local school districts, and now, at the Indiana School for the Deaf. It is all about how deaf students learn and communicate and some parents believe the Daniels administration is taking a misguided approach. The Indiana School for the Deaf teaches both English and American Sign Language but some parents of deaf students believe there is an effort to phase out American Sign Language. "We're trying to deal with people who already know that they're going to try to do everything that they can to remove the American Sign Language from the school," says Marvin Miller, who has four children who are students in the School for the Deaf. Mitch Daniels appointed four new board members at the school on April 15th. Only one of them is deaf. They attended their first board meeting last week. And a group of parents was there to confront them expressing things like "We want to throw you out!" There are seven board members in all and only one is deaf. The angry parents later posted a video on YouTube and on a website for the Indiana Association of the Deaf that includes parents saying thinks like, "You cannot possibly understand our viewpoint." Tami Hossler's daughter is a graduate of the School for the Deaf. "The Indiana School for the Deaf is one of the top schools in the nation for bilingual education," she says. Along with Miller she now hopes to generate national publicity to fight the governor. "The deaf community everywhere is very, very concerned about this," says Miller, "and we are truly worried and very upset." The parents are now demanding a face to face meeting with Mitch Daniels. Jane Jankowski, the governor's spokeswoman, says she hopes the parents will give the new board members a chance. She says they are interested in improving the quality of education at the School for the Deaf and the governor has no plans to kick them off.